Samsung Galaxy Watch has been around for a while, and the Galaxy Watch Active has just come out a few months back. The Active is between 80 and a 100 dollars cheaper, depending on which version of the Samsung Galaxy Watch you are comparing. For starters, the Samsung Galaxy Watch has a bigger screen size, by 0.1 inches. That is not a very big difference, but in a watch it does make some difference. The bigger sized Samsung Galaxy Watch is 0.2 inches bigger than the Samsung Galaxy Watch Active. When it comes to the real stuff, the features, of the two variants, there is literally no difference. They both offer the same things, a heart rate monitor, GPS, your health data in the Samsung Health app, number of steps taken, total distance traveled, and tracking of your daily activities including sleep and quality of sleep. Both Samsung Galaxy Watch and Samsung Galaxy Watch Active exercise activities like running or walking, and even sleep. If you were to wear one on one day and the other the next, you will not really experience any significant difference in the features and in the overall experience of physical and health tracking. Also both these watches have the same operating system Tizen. If we look at the battery backup of the two variants, then the Samsung Galaxy Watch is better than the Samsung Galaxy Watch Active. To the extent that the Samsung Galaxy Watch Active will need to be charged once a day if you wear it all the time, whereas the Samsung Galaxy Watch bigger variant will last around three days. However, if you are a runner or fitness enthusiast, you will find it simple to charge your Samsung Watch Active every night as a matter of routine for your daily exercising. Considering the nearly $100 price difference, we feel the Samsung Galaxy Watch Active should be your choice if you are into an active lifestyle. If you want your watch to double up for your phone sometimes, then go for the Samsung Galaxy Watch with the 4G option. There are innumerable fitness trackers and smart watches in the market. However, to match up to the Samsung Galaxy Watch you need quality and features that are a cut above. We looked at a few alternatives, and while they will not deliver the same performance and features, they will do just fine, especially with the advantage of a much lower price. Here are the ones we liked. The Amazfit Bip is a smartwatch that will do the real stuff but won’t give you the bells and whistles. It also comes at a much lower price of under $90. 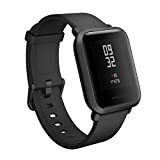 If you are into sports and an active lifestyle, and want a smartwatch that will connect to Android and iOS, then this is a good choice. This is a hybrid that offers traditional watch features with connectivity with your smartphone. 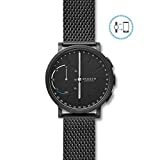 The Skagen Hagen Connected watch delivers on all counts and is priced way lower than the Samsung galaxy Watch Active at just a little more than $100. Track your way to real results - Automatically detects up to seven exercises, while tracking up to 39 more, right from your wrist. Resolve to rest better - Helps you analyze your sleep patterns and encourages you to wind down to keep you refreshed and at your best. Let your body be your guide - Sends you real-time alerts if ever detecting an irregular beat, so you can be more proactive about your heart health. Expand your Galaxy - Sync with your phone to stream your playlist, get notifications and more, right on your wrist. Thin. Light. Durable - A thin, lightweight and durable swim-ready design comes in a variety of colors and interchangeable bands. 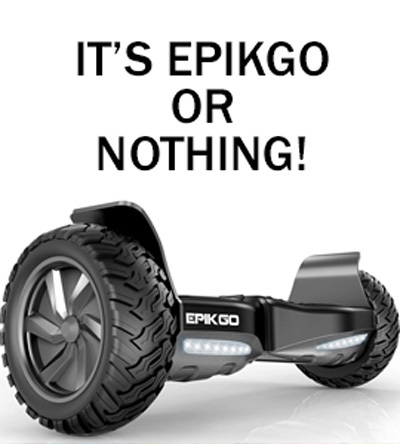 Lasts for days - Go non-stop with a long-lasting battery that lasts for days on a single charge. Looks like a watch, acts like a smartwatch. Smartphone notifications, activity tracking, custom goal setting, sleep monitoring, customizable buttons & automatic time zone updates.